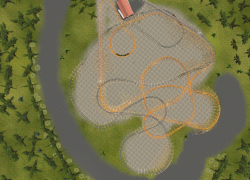 This is my take on RMC Gwazi - I made this old, out of shape coaster into a smooth, thrilling and intense experience. 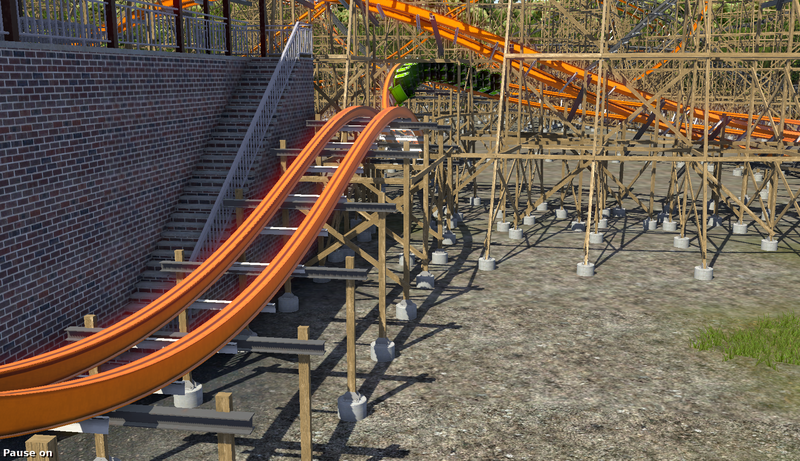 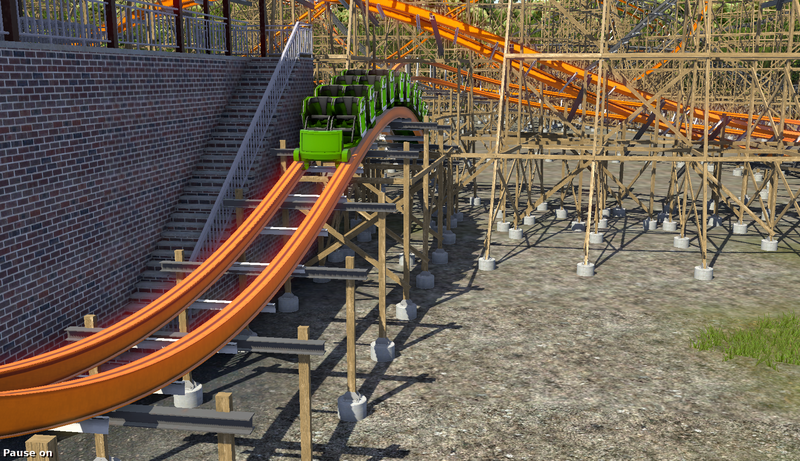 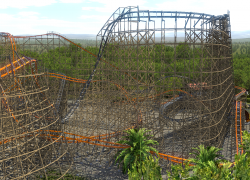 Riders will be able to experience both sides in one ride, similar to twisted colossus. 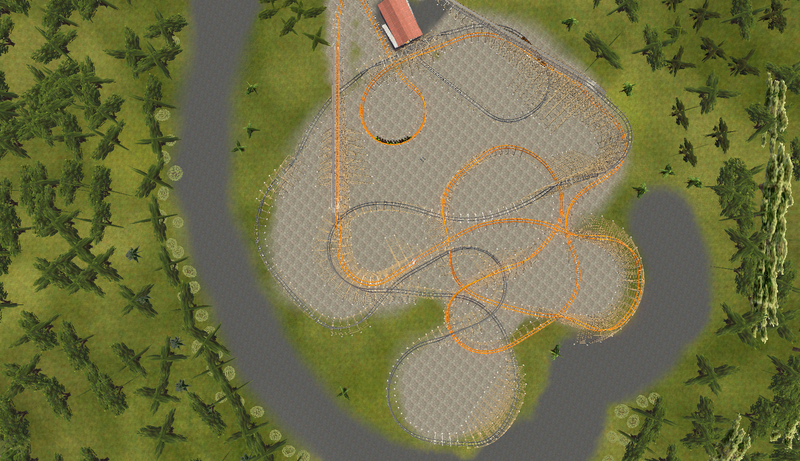 There are four main dueling spots, as the trains fly past each other in contrast to a side by side racing style. 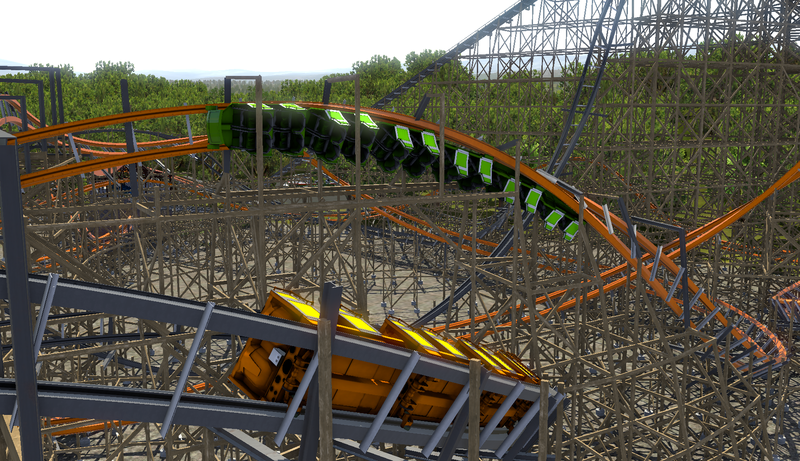 My personal favorite is the top gun stall, which the trains fly by each other in contrast to Twisted Colossus. 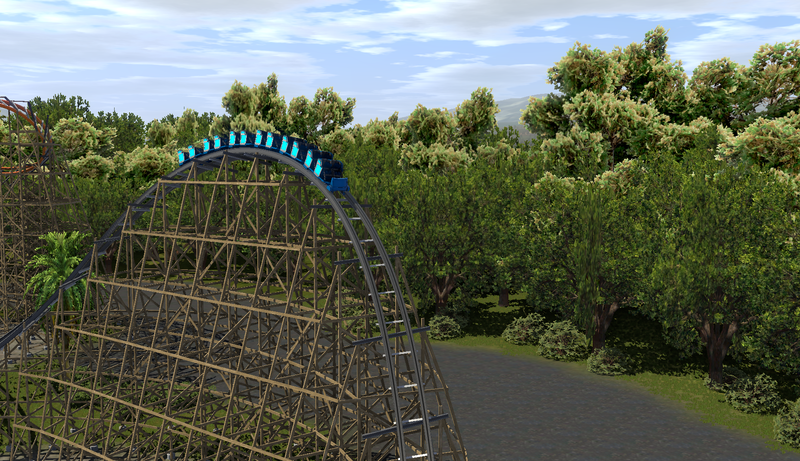 The ride hits a top speed of 54 mph, 120 foot height, and 5,832 feet of RMC I-box track. 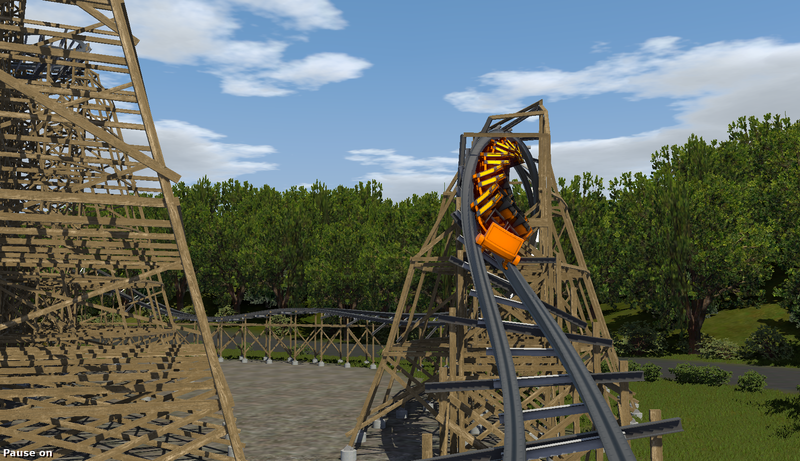 The ride features the most inversions on any Hybrid Coaster with six - A reverse cobra roll, upwards barrel roll, barrel roll drop, barrel roll, and 0 g stall. 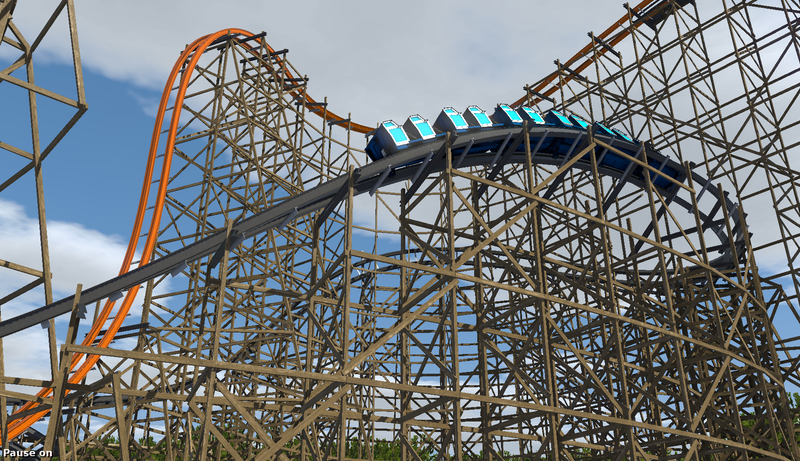 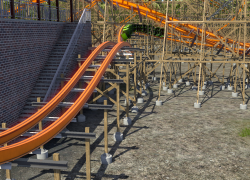 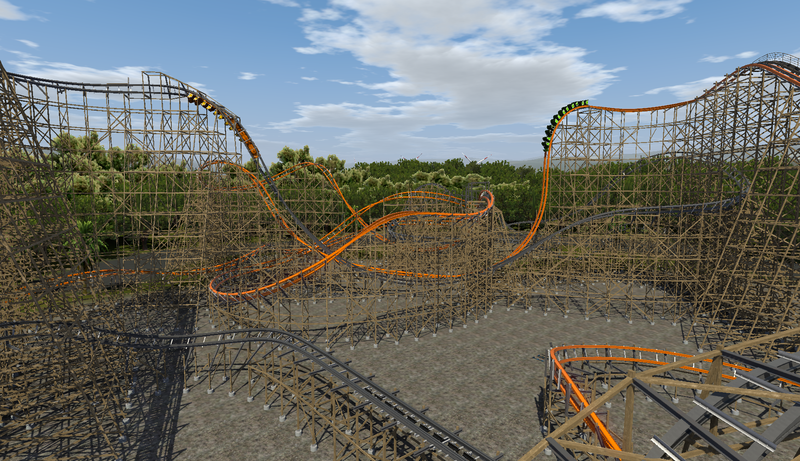 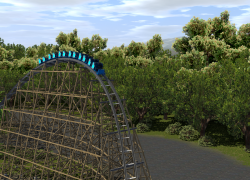 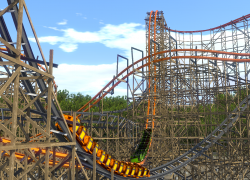 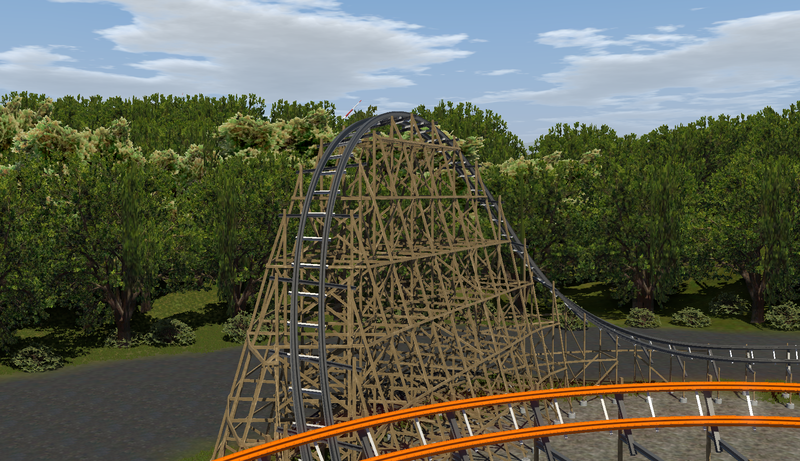 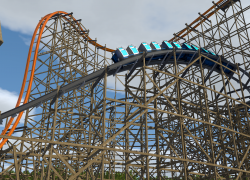 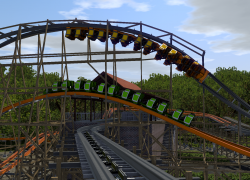 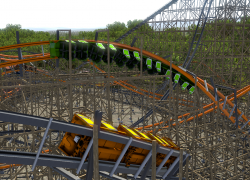 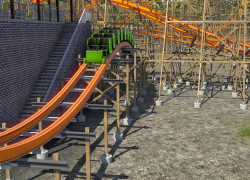 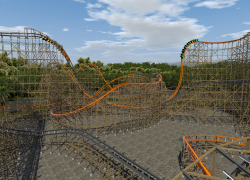 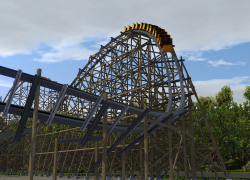 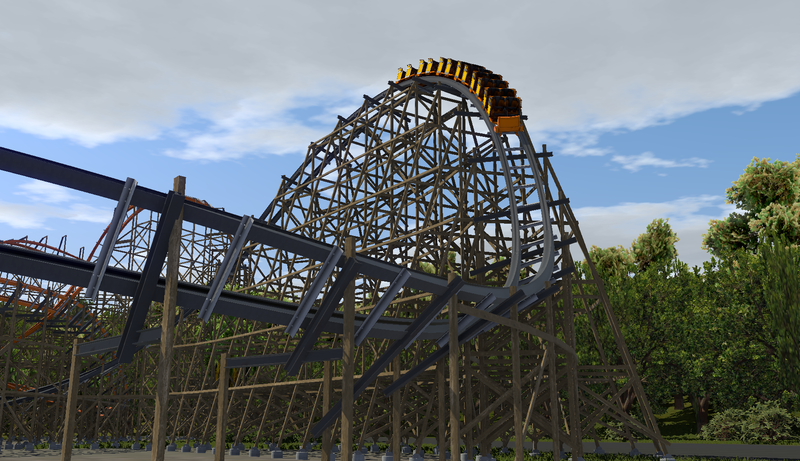 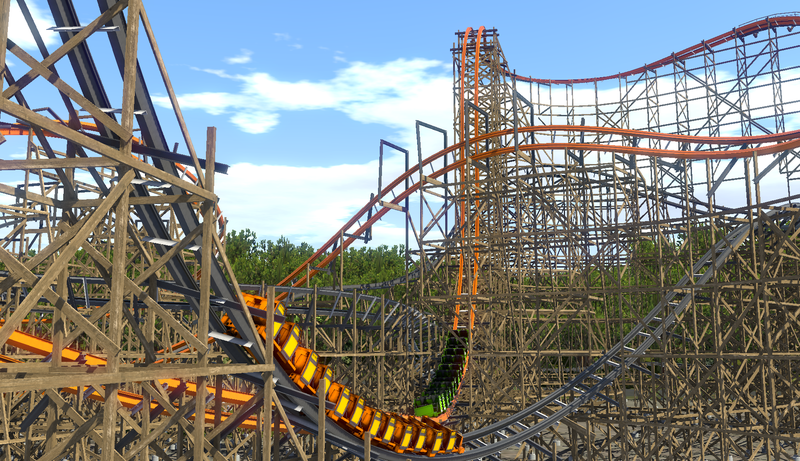 Other elements include wave turns, tilted and normal airtime hills, a Steel Vengeance-like top hat, and an infamous tip-out corner. 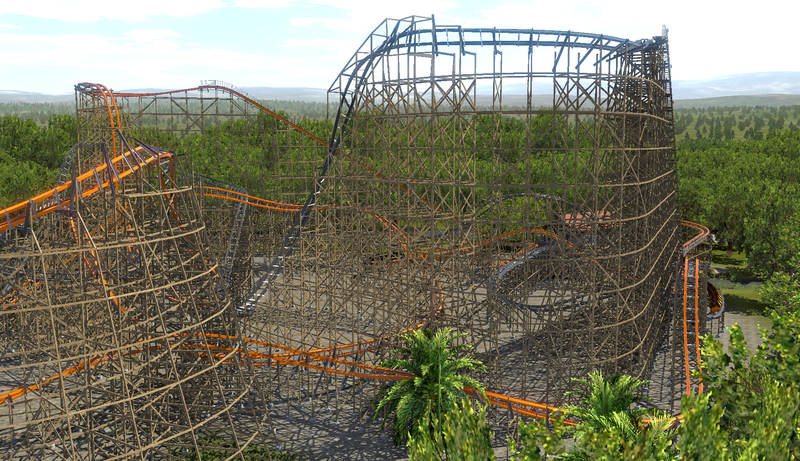 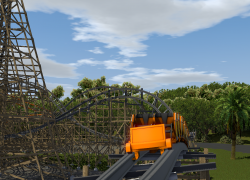 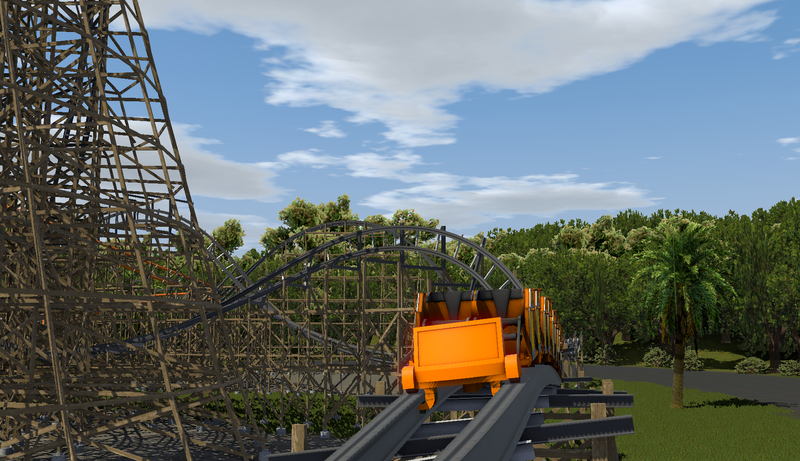 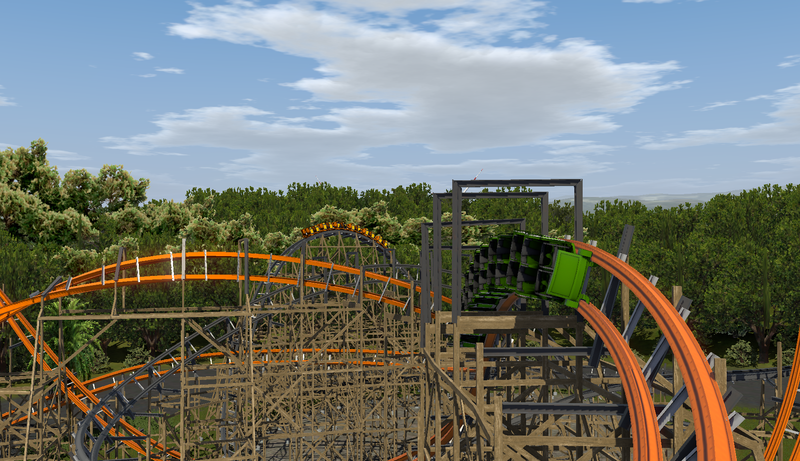 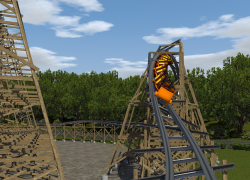 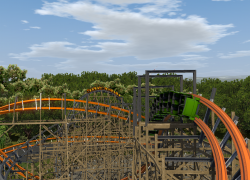 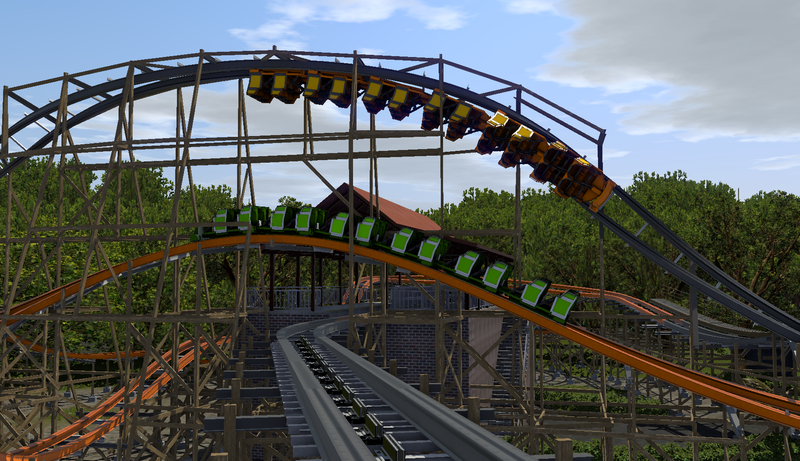 It may not be the tallest and fastest of RMC creations, but its intense g-forces and tight inversions make this ride exciting and a fantastic new addition for Busch Gardens! 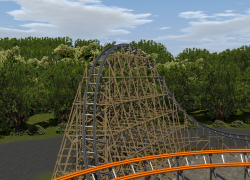 "It may not be the tallest and fastest of RMC creations"